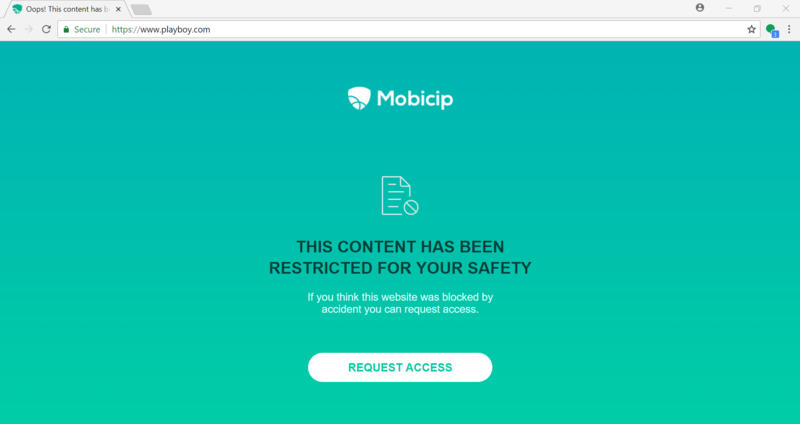 Mobicip | How Do I Setup Parental Controls on Windows PCs and Laptops Using Mobicip? How Do I Setup Parental Controls on Windows PCs and Laptops Using Mobicip? This tutorial walks you through setting up Mobicip's parental controls on any Windows computer. 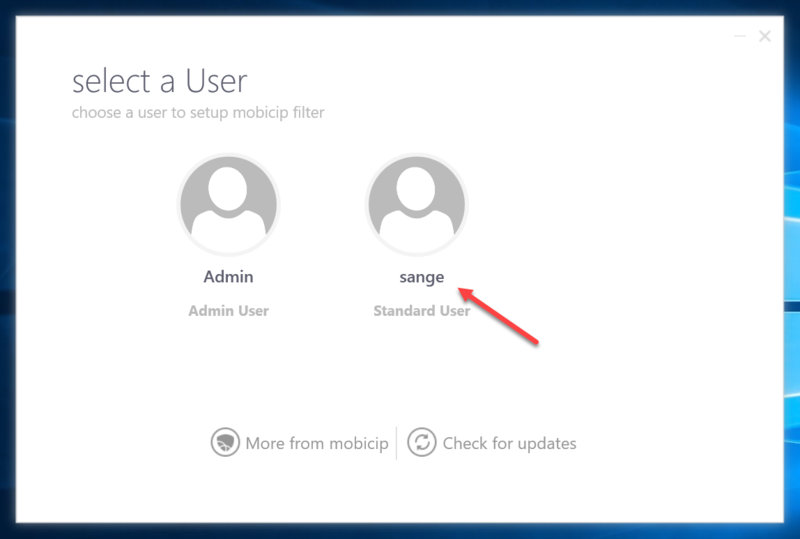 Summary: Download and enable Mobicip on the PC using your account, and map each child to his / her profile. Go to mobicip.com and 'Sign Up'. Once the account is created, you will see a confirmation and receive an email. Determine the version of Windows you have on the computer. 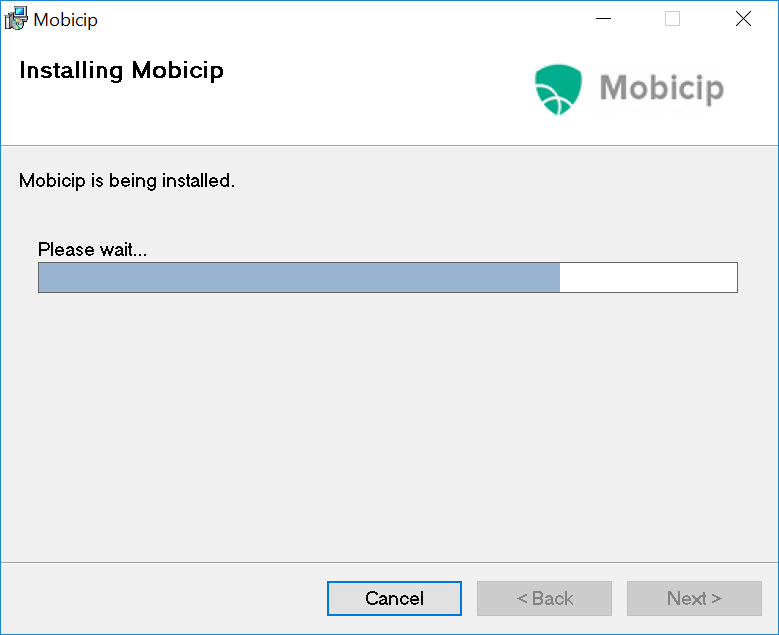 After making sure, download the version of Mobicip compatible with your computer. Launch the installer and allow admin access to proceed with installation. Restart the computer and login again. 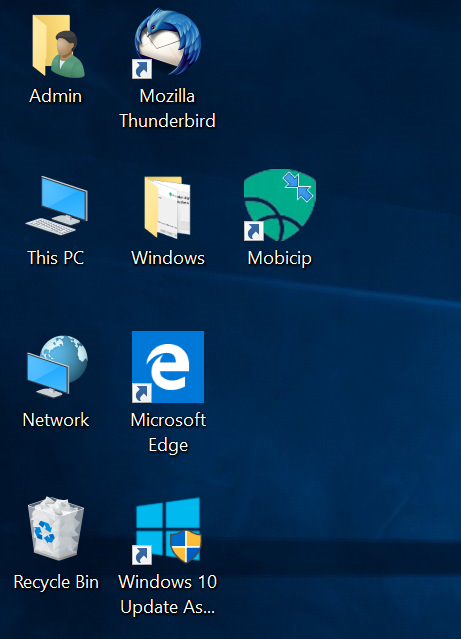 You should see the Mobicip icon on the desktop. 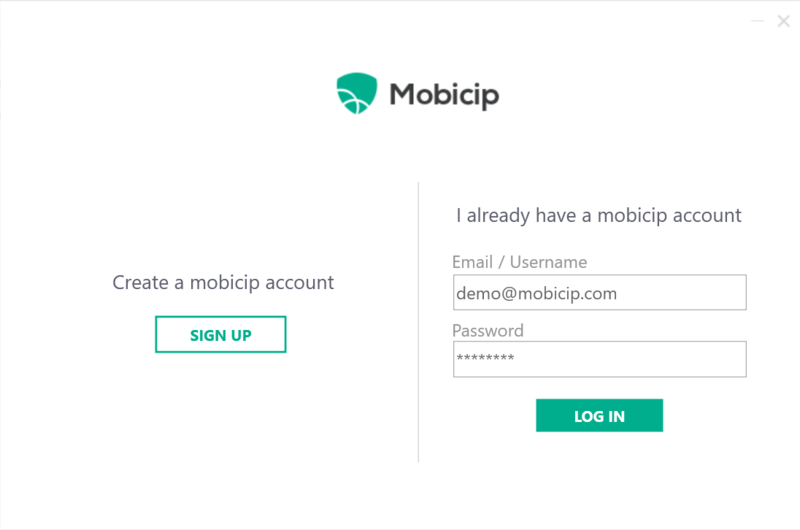 Open Mobicip and login using your Mobicip account (or create one). 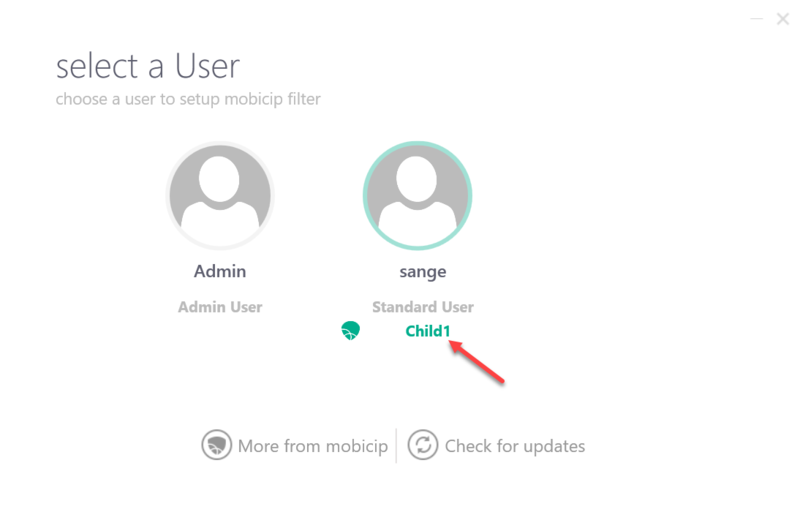 For each child's account, select the Mobicip child profile to map it to. Save and confirm your settings. Depending on who logs in, appropriate restrictions will be placed. Congratulations! 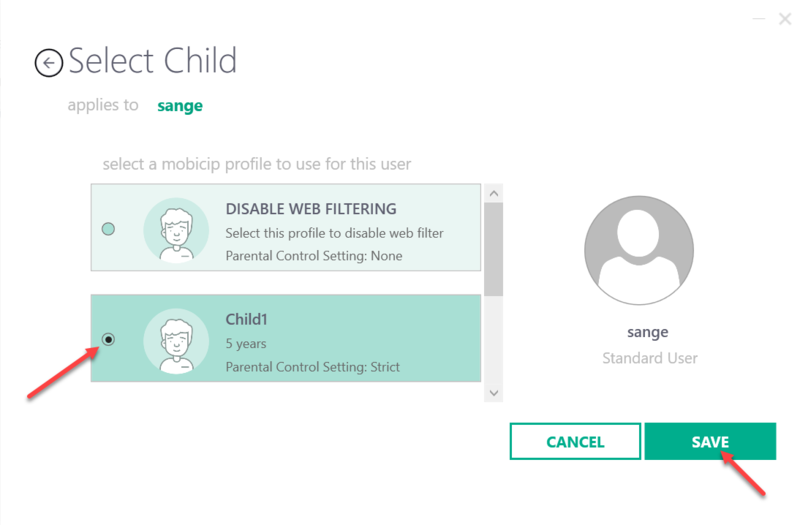 Your PC is now setup with Mobicip's parental controls. 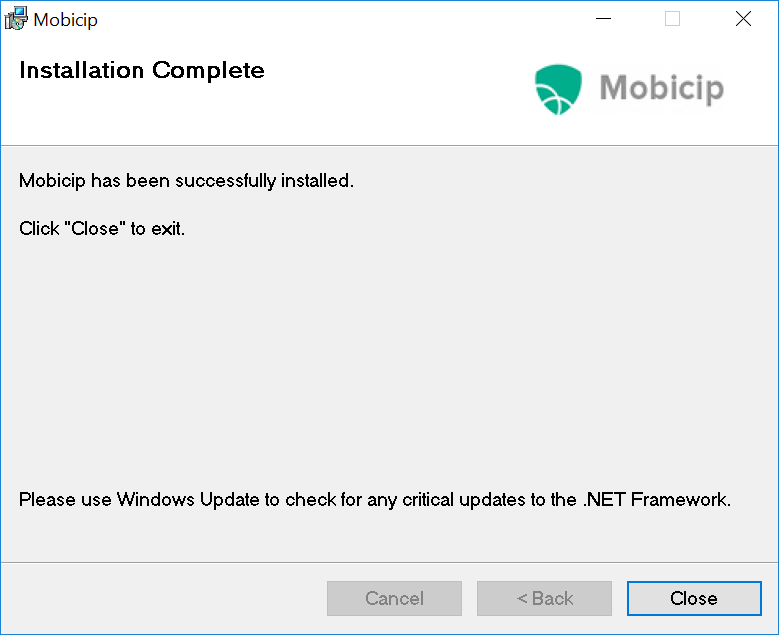 Known Issue: This version of Mobicip won’t get installed if you have Kaspersky Internet Security installed on your device.